Having a good website in this day and age is not a bonus, but rather a necessity. If you have a business, offer services of any kind, or simply need to publicize yourself, you need a website. A custom website can get pricey and it is understandable that you may have a budget you need to stick within, so knowing the must-haves will help you make the most of your website while adhering to your budget restrictions. Choosing a good web hosting company is very important. The server should provide your website a 99% uptime guarantee. In case you do encounter technical problems, reliable tech support with immediate response time and will be quite helpful, so be sure that the company you go with offers excellent customer service. Like any website, your web hosting site should have an easy to use interface that allows you to easily log in and make adjustments to your account anytime without struggling to find what you are looking for. Also, if you are trying to stick to a budget, you may want to compare prices to find the most affordable deal. There are several popular web-hosting companies whose prices are way higher than smaller companies that offer just as good of quality services. The way to know if you are making a good decision on web hosting is if the company has a good reputation, so shop around and do a little research first. It is important to make a good first impression on visitors who come to your site. Upon visiting for the first time, people are likely not only scanning around to see main headlines and navigation items, but also picking up on non-verbal cues about your site, such as branding and professionalism. It is important to have the home page, above any other page on the site, designed very well and professionally. Make sure that your web designer is familiar with your brand standards and has a clear understanding of your expectations. Your website should be neatly organized and easy to navigate. There’s nothing more frustrating to web surfers than a site that is cluttered and difficult to understand. A simple navigation menu with clear, easy-to-understand menu items is one of the most important features that will keep visitors on your site. A navigation menu is intended to draw your visitors deeper into your site so they can learn more about you and what your business offerings, as well as read what you have to say and decide whether they think you are an expert in your market. This is not the place for cute menu titles or attempts to impress your visitors with industry jargon. Short, simple, descriptive navigation titles should be the goal. Your visitors may wish to contact you if they have questions or if they need more information. Many websites disregard the importance of a thorough “About Us” page and offer a vague description of who they are and what they do. Or on the other hand, some websites get way too wordy on the about page and give unnecessary information. Your “About” page is quite possibly the most important page on your website where you can really showcase your credentials and why people should trust you. Use it! This is where you explain your business and what you offer, in a concise and captivating manner. 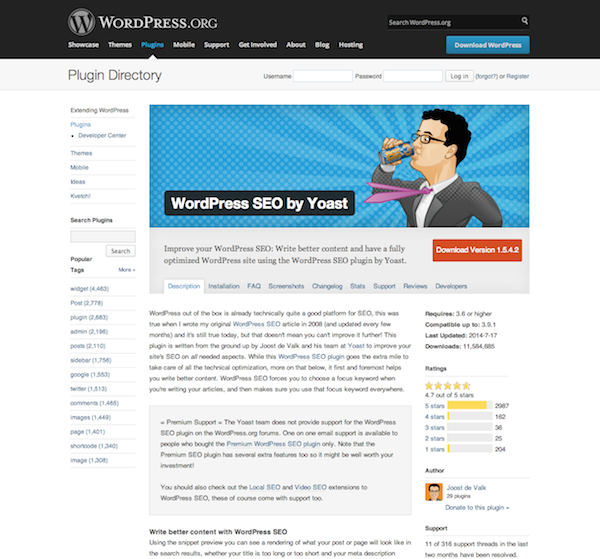 The WordPress SEO plugin is the most complete WordPress SEO plugin that exists today for WordPress.org users. It incorporates everything from a snippet preview and page analysis functionality that helps you optimize your pages content, images titles, meta descriptions and more to XML sitemaps, and loads of optimization options in between. The SEO Smart Links plugin lets you automatically detect and link common phrases in your posts and comments to relevant articles on your website. This can help you create a better internal linking structure, as well as improve user engagement (encouraging visitors to continue to browse your website). That being said, I think that such an automated solution might create some “false positive,” and possibly create an unnatural linking pattern. It’s a cool concept, but I would still use it carefully. The Contact Form 7 plugin allows you to implement a feedback form to a web-page or a post in no time. It is an extremely easy form that doesn’t require any additional settings, though there are plenty of available options. All you need is just to activate the plugin and insert the shortcode [bestwebsoft_contact_form] into the text. 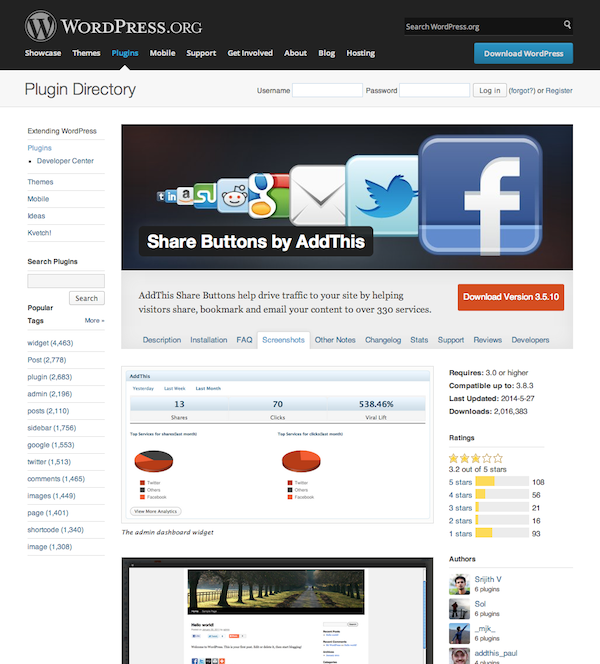 There is also a premium version of the plugin with more useful features available. Broken links are bad. The are frustrating for your visitors, and they are bad for SEO too. If you have broken links on your site, you should fix them! The problem is, these links are often hard to find. How would you know that some site you linked to three years ago has since been deleted? If you want your post to stay relevant, that link should be replaced with a something similar that still exists so as not to confuse your readers. 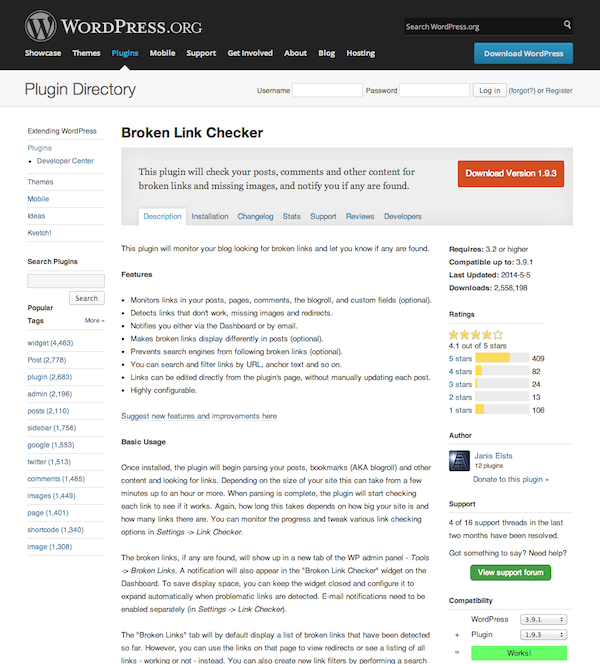 The broken link checker helps you identify those pesky broken links so that they can be fixed. Social sharing is important, and even on a budget, it should never be overlooked. Luckily there are some great free social sharing plugins available, such as AddThis. The plugin makes it easy to implement social sharing buttons into various parts of your site. In fact, we have used it on our own blog for quite some time. XML sitemapts are a great way to help your new website get indexed. Often times, a fresh site will take a while to be crawled because there are a lack of natural links pointing to your website for robots to follow. Submitting an XML sitemap can give Google a clear map of your website to ensure that everything gets indexed. We have a great post about Google Sitemaps that goes into greater detail on the subject if you are interested. If you are looking for a quick solution, then definitely give the Goole XML Sitemap plugin a try. 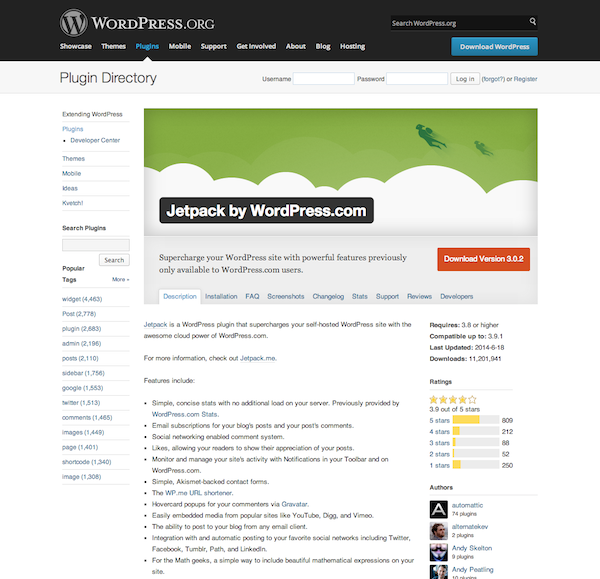 The Jetpack plugin was created by Automattic, the company behind WordPress.com. 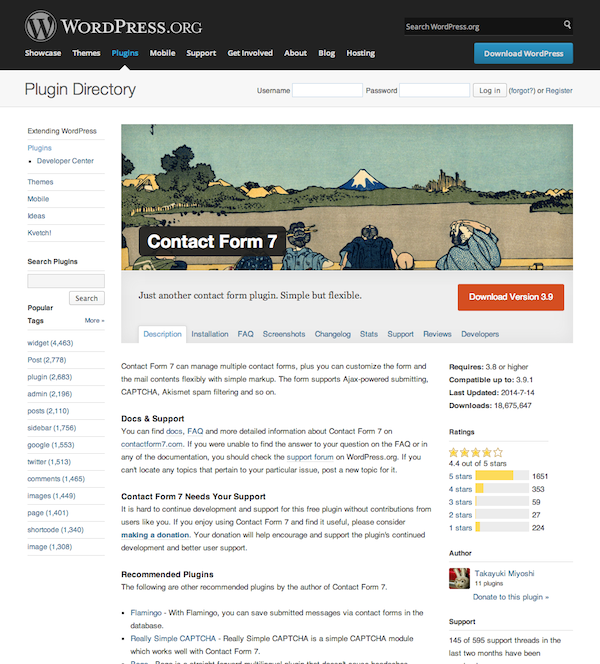 The team at WordPress.com have been creating great functionality for their users for years, and this plugin takes those features and packages them into a plugin that can be enjoyed by WordPress.org users as well. When you are building a new site, this is a great plugin to start with. Some of the notable features of Jetpack include: Social sharing buttons, simple contact forms, a custom like system for comments, post sliders and so much more. Every website needs to keep regular backups. If you are on a budget, this is not the area to skimp on! WordPress DB Backup is a great free plugin that can help you keep regular database backups of your WordPress site in case of emergency. If you are looking for a premium solution, you might also consider using Vaultpress. 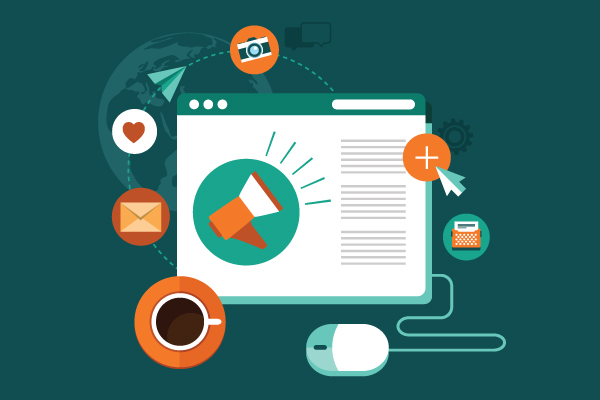 Static websites tend not to attract very many new clients or customers; however, a regularly updated blog can produce a constant stream of good leads from all around the world. When you publish in-depth blog posts that help potential clients solve their problems, they come to respect you as an expert in the field. If they want more help than a blog post can offer, they are likely to be interested in hiring your business. In addition, blogging regularly is a guaranteed way to expand your network. 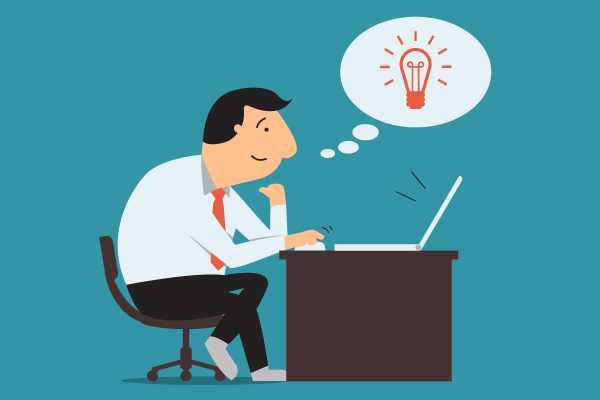 Valuable and interesting blog posts attract readers who will then comment on your site and send you personal messages through your contact page. Also compared to a static portfolio, having an active blog is much friendlier to search engines because of the fresh content it offers once in a while. The friendlier you are, the better chances of you being searched for. This is another example of how you can create an awesome website with effective features for free. Isn’t the main point of having people visit your site to encourage them to do something that you want them to do? If so, you should consider including a blatant call to action for whatever that is. For example, if you want them to opt-in to your mailing list, be sure to have a clear call to action prompting them to enter their name and email address. If you want them to contact you, have a clear call to action of how they should contact you. This is a simple technique to bring success to your website without going over your budget. Don’t make your visitors fish around for a way to contact you. You should have it available at least in the footer of every single page on your site, as well as a dedicated contact page. As mentioned above, installing a Contact Form via WordPress plugins will enable people to reach out to you anytime with any questions they may have for you. Being approachable and easy to connect with is an important attribute of a successful business, so be sure to emphasize all the various ways to get in touch with you, including phone numbers, website URLs, email addresses, fax numbers, addresses and social media accounts. Another great feature to include on your website that is beneficial and free of charge is the inclusion of testimonials. Request formal statements and recommendations from some of your previous clients. What better way to make a statement about your level of expertise than by having people vouch for how great you have been to work with in the past. It is a great way to advertise your business while gaining a good reputation. There are many ways you can create an excellent website for your business while staying within a set budget. When your funds are limited, think about your priorities and consider all the free resources you have available. WordPress is an open source platform (also free) as is all the bundled additions and plugins. Not taking advantage of such a useful set of tools could severely limit any up and coming website. Great article! It is easy to build your own website, especially with the divi theme now available. A good host is the most important part of that, (selfless advert here, we offer a myriad of hosting on our website, and soon some very special dedicated WordPress hosting). We love WordPress SEO by yoast, and use it on every site we build. Although SEO and hosting is important, one thing that everyone should look at when making websites is copywriting. Not the copyright that protects things, but copy aka the text on your website. By using specific language, and headlines you can increase conversions/ease of use/interest. You can learn all about copy at copyblogger. One of the best free resources out there. Good article, and hits where a lot of people have questions. If anyone has any questions about where to go on building a site or finding hosting you may ask away, and I’ll try to answer. You can PM on the elegant themes forums, and or contact me at my email (jduncan AT paperlesscreations DOT com). As a university student who started a website by himself this summer, this is greatly appreciated! Thankfully I have all of these plugins already installed and fully configured thanks to an awesome blogging course i’m in. great post! any tips for speed? I have some videos that play in my divi theme but they really slow things down. Any tips are greatly appreciated! It can really make a night and day difference. If the videos are hosted on your server, then you should put them on a cdn to make them load faster. If it is embedded from vimeo or youtube then there isn’t much that can be done to speed it up, other than speed the rest of the site up to focus on loading the embeds. Is it necessary to use Google XML Sitemap if you are also using WordPress SEO? I thought WordPress SEO creates an XML site map for you? It is not necessary to use both. 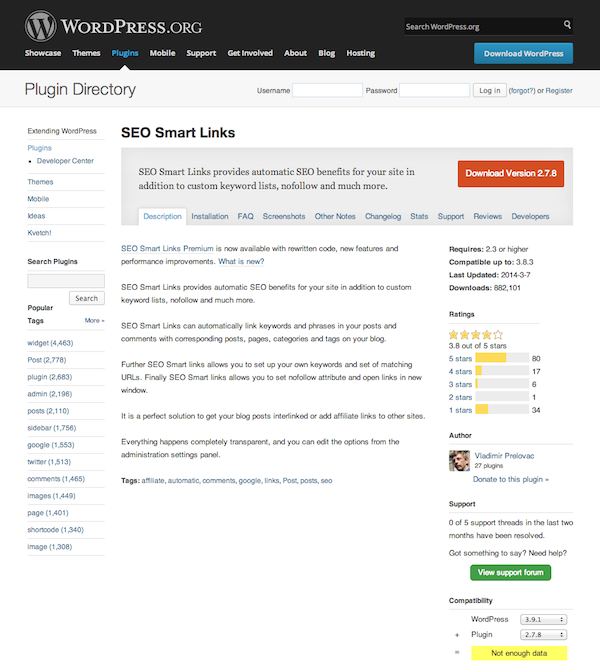 The wordpress SEO plugin works great for it. 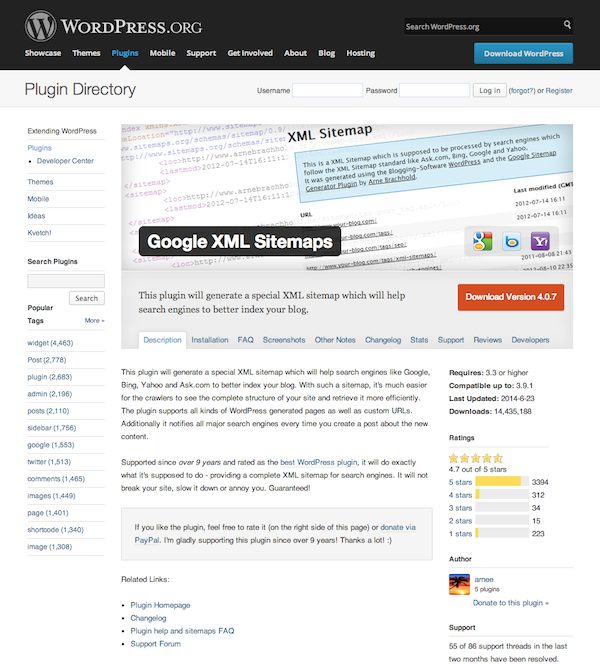 The Google XML Sitemap plugin is for people who are not using the SEO plugin as well. Good hosting and a good theme are at the top of my list. Don’t skimp on either and don’t go for a free theme… you’ll waste so much time trying to set it up!! There are lots of great free plugins and you’ve picked at least two of the ones that I use… CF7 and Yoast SEO. Not sure if a WodPress beginner could manage Yoast SEO so maybe go with a theme that has built-in SEO such as Elegant Themes or Genesis. First of all excuse me for my rough english. With my budget website I concentrate primarily on hosting and then on themes: I try a lot of free theme and I have to say it’s not so simple to find a good one. 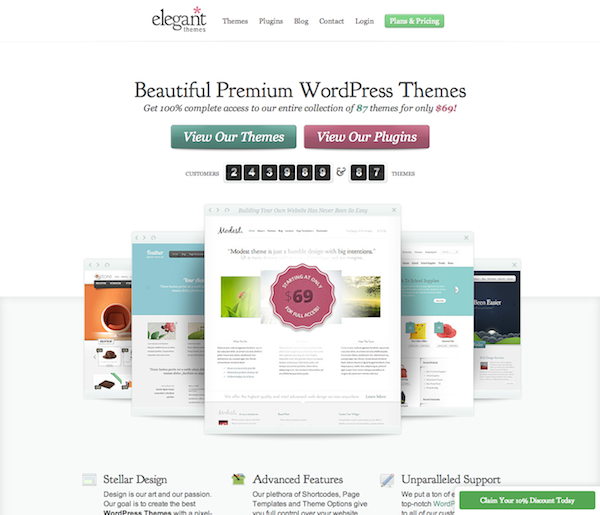 Fortunately I find a good free theme… it’s Serene from ElegantThemes! Same problems with gallery plugin… it’s impossible find a good one with built in social sharing buttons on single images… maybe for the gallery I will buy a plugin. Hello I really need some help with design! Thanks for the helpful post. Will definitely add the “Broken Link Checker” plugin. Looks like a very useful plugin. I also like the recommendation of having a “call to action” on Home Page. Great tips! Thanks for the Broken Link plugin. I’ve been having issues with Google and Bing detecting broken links with my sitemap recently. Hopefully this will clear things up. Andy, this was very nice, but there’s one you need to re-think: AddThis is … kind of evil. Their technology renders browsers pretty much insecure in a “spying on you all the time and even using Incognito mode doesn’t help” kind of way. Pick a different SocialShare plugin, though, and this, while not ALWAYS in line with what we suggest, was a pretty decent primer. Very good and deep guide-line article Andy !!! I think good hosting, user friendly design and best SEO plugin is best part for create any website. This was a very interesting read for someone starting out with wordpress and building a site. Very good list. Thank you for sharing. I have a similar question. I installed Google XML plugin and got my sitemap. I later have installed yoast, it looks like it also crated an XML sitemap. Should i disable Google XML plugin. If so, how do I delete the XML sitemap that it created? Or, does it hurt to have 2 site maps. Sorry I don’t know anything about site maps. There are a lot of if’s that deal with this so I’ll try and explain it as well as I can. If you have already submitted the first xml sitemap from the Google XML plugin to indexes like google or bing, then you don’t want to use the xml feature of the yoast plugin. It can be disabled by unchecking the box on the xml sitemap settings page. If you haven’t already submitted the first xml sitemap from the Google XML plugin to indexes like google or bing then you can uninstall the Google XML plugin and just use the yoast plugin. You always want to lower the amount of plugins you are using, because they slow down wordpress as a whole. The only thing with having 2 sitemaps is that it will cause duplicate content errors with Google panda. Remember if you haven’t already submitted the xml, delete the old plugin and use yoast, and use the google webmaster tools to submit your xml index. I think that covers it, if anyone else has something add please do. If I am totally wrong please correct me as well. A couple of points – as others have said, you only need Yoast, as it generates XML sitemaps for you, but some plugins you have recommended such as Broken Link Checker and JetPack add massive bloat/server load on a site. If you are on a budget that means shared hosting, so using as few plugins as possible. So instead of installing Jetpack and its massive load of plugins, most of which you won’t use anyway, pick out the elements you like and use an individual plugin for it – for example using Contact Form7. Broken link checker is good to do a quick check before a launch, but if you’re on shared you might not want to keep it on there permanently. On the ‘captivating’ homepage point, do not fall into this trap. If you have a business website, your visitors will not be captivated by your homepage, they just want quick and easy linking through to what they are looking for. Just concentrate on making it easy for them. Thanks to Google etc, most people will arrive at your site directly to the page they want (if you’ve done your SEO right) and not via the homepage. Build your homepage last, when all other content is done, and use it to direct people through. Sadly, what we often see when people try and build ‘captivating’ homepages is basically annoying. Keep it simple and straightforward. Besides that there’s some good advice here. That’s almost exactly what I’m doing. Just a word of warning about SEO Smart Links. We have seen sites penalized by using this particular plugin without a lot of care and attention. Enough that it is often better, and easier, to make the links manually when appropriate rather than risk a Google penalty. Woot! That was super simple to setup a site map! Task I thought would be difficult, just got accomplished! Thanks! It is under the radar site and it load my sites super fast. Get a good logo. If you are unable to produce a good logo yourself then don’t cheap out on having one made. It is unlikely that someone on Fiverr will ever be able to produce a worthwhile logo for such rock bottom prices. Invest in your brand and you’ll reap the rewards in the long run. A tacky cheap logo will lose you customers and damage your reputation. Excellent Blog Post! Thanks for sharing this useful information, it really helps to make better and user-friendly website. I would like to recommend site search box, it can improve user experience on the site. Can I add a tiny, often neglected point? Add a favicon! Don’t keep the default one. Great Post that is to-the-point. The images are not loading for some reason though. just thought i’d let the owner know. A lot of people are on a budget , so this helps!